Shared direct mail marketing enables you to maximize your ad dollars’ reach without bearing the costs alone. Each company that advertises in our iconic Blue Envelope of coupons pays a fraction of the cost to mail their coupons. Choose from single-panel or multipanel coupons, cardstock inserts, circulars and more. Enhance your small business advertising with a mobile-friendly website or business profile page on valpak.com. As a Google Premier Partner, Valpak of Central Virginia has proven expertise in managing and optimizing online advertising campaigns. Track your ad spend with our tools designed specifically for small and mid-sized businesses. Get insights that measure both the quality and quantity of telephone responses and more with our call tracking and performance tracking dashboard solutions. Take the guesswork out of determining your ROI. Ally your name with a longtime leader in small business advertising: Valpak. Reach households you value in Richmond as well as Henrico, Midlothian, Glen Allen, Petersburg, Mechanicsville, Chester and other cities in Central Virginia. For specific dates and coverage, contact your Valpak of Central Virginia representative. 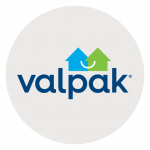 Valpak of Central Virginia is an independently owned Valpak franchise.